Karen Kwiatkowski voted – twice – to re-elect Sixth District Congressman Bob Goodlatte. She did so for the same reason that she thinks a lot of fellow Republicans in the heavily GOP Sixth support Goodlatte election cycle after election cycle. “They’ve known him for years, and because they’ve known him for years, they think he’s safe,” said Kwiatkowski, a retired Air Force officer and Shenandoah County farmer who is challenging Goodlatte for the Republican nomination. The problem with Goodlatte to Kwiatkowski is that it seems to her that the congressman takes the same “I’m safe” approach with voters. “When you’re in office as long as he’s been, 20 years, it’s as much about survival as it is about getting anything done. That’s the problem with the system across the board,” said Kwiatkowski, whose disaffection with Goodlatte dates to her communications with his office over an issue involving a controversial animal-identification program that the libertarian-leaning Kwiatkowski views as a clear intrusion on the private-property rights of farmers. “Here’s one more way for me to give away my property rights,” Kwiatkowski said of the program, and she raised the issue with Goodlatte, the former chairman of the House Agriculture Committee, only to get what she felt were “form letters” from staffers who clearly didn’t understand her objections to how the program was to impact the ag community. Kwiatkowski, to those who know her, is not one to shy away from a fight – be it an animal-identification program or the drumbeat to war. She says she had a “happy” military career until her final year in the Air Force, when what she saw being done from her job at the Pentagon in the Near East and South Asia directorate made her come to the conclusion that the Bush administration was cherry-picking intelligence to provide a false pretext for going to war in Iraq. 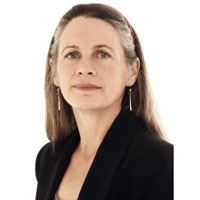 Kwiatkowski, a publisher author who wrote books on U.S. foreign policy during her time in the Air Force, and has written extensively since on topics ranging from the military to neoconservatism, became an outspoken public critic of the war – and as such was a frequent target of prowar supporters. She felt somewhat “vindicated” by the way things turned out in Iraq, but at the same time left the Pentagon disillusioned about what she had seen happen in front of her eyes. “I got to see a different side of how decisions are made in Washington, D.C., and that has informed my thinking. I can speak to anyone about that. I saw a segment of how we do business, and I can share that with anyone,” said Kwiatkowski, whose thoughts and writing have turned in retirement to include critiques of other areas of government life. “I don’t think we can afford any of this social-welfare state that we have created for ourselves. We can either just say no, to borrow from Nancy Reagan, or we can go on being fat, dumb and happy and spending ourselves into oblivion. And I think that’s where we’re heading. I believe that we’re headed toward a disaster, but I’m hoping there’s something I can do to get us back on a constitutional path,” Kwiatkowski said. She admits to not being entirely comfortable with politics. “I’m not a politician,” Kwiatkowski said, and she harbors no illusions about her chances to unseat a 10-term congressman in a party primary. “If it’s not this cycle, it’s the next cycle, and if it’s not that one, it’s the one after that,” said Kwiatkowski, who sees Goodlatte’s consistent votes in favor of deficit budgets and increases in the federal debt ceiling as his Achilles heel. “This last (debt-ceiling vote) was a tradeoff to get a vote on his balanced-budget amendment, which is nothing but kicking the can down the road with the end goal being to make the excuse that, Well, you guys didn’t modify the Constitution, so sorry, but we couldn’t stop ourselves from spending. Sorry, but we don’t get that option in our own households,” Kwiatkowski said. It doesn’t bother Kwiatkowski at all that she is getting nothing in terms of support from GOP leaders in the Sixth. “My message is resonating with true conservatives who are upset with the party. That’s more important to me,” Kwiatkowski said. More on the Kwiatkowski campaign online at www.KarenKForCongress.com.